Toronto and GTA website design agency. Yes! It's that simple! Our clients love being in control of their website. 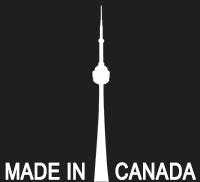 416Media.com is a leading web design agency servicing the Toronto and GTA area. We design beautiful websites that are easy to maintain and search engine friendly. We pride ourselves in designing some of the best websites in the city featuring the latest web technologies. All our websites are responsive, meaning they will look and work great on any device. Did we mention these websites can be maintained by anyone, from anywhere and at anytime. Simply click, change and save!